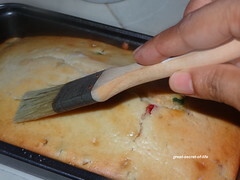 I love to try different cakes. Even though I love dry fruits my kids are not very big fans of it. 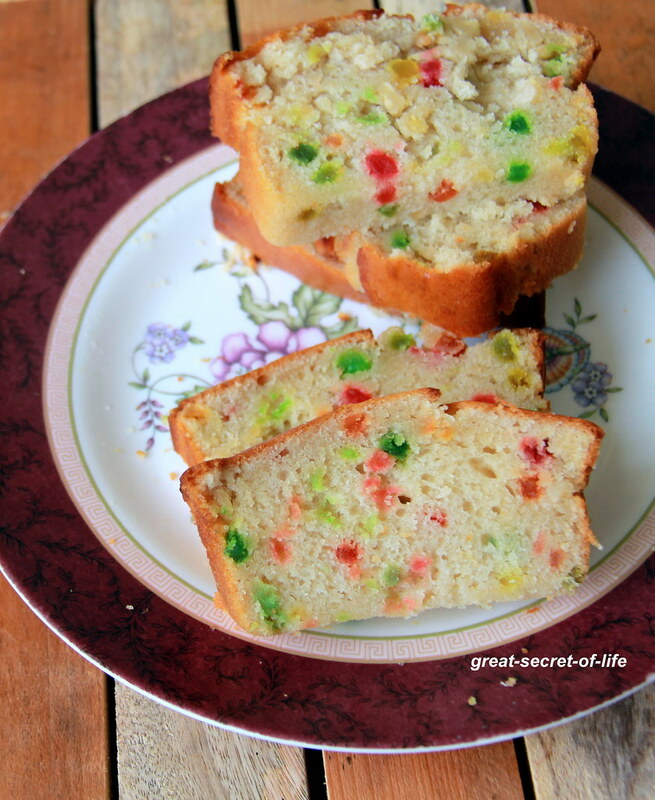 Tutti frutti cake is something I wanted to try for so long. But I keep postponing it as my kids are not a big fan of it. 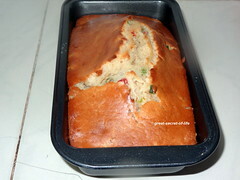 I saw this post at Chitrasfoodbook and cannot resist the temptation. 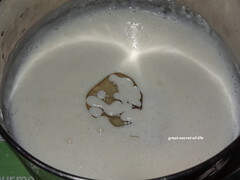 I have followed recipe from there with some modification. Merry Xmas! Happy Christmas! 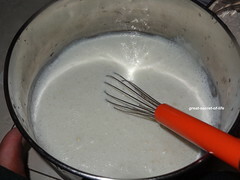 In a broader vessel take yogurt and whisk till smooth. 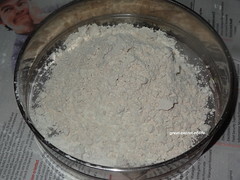 Add vinegar, baking soda and baking powder mix well. Keep it aside for 5 mins. 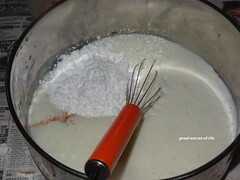 Add powdered sugar, vanilla essence and mix well. 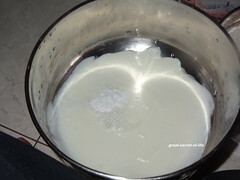 Add oil and mix well. 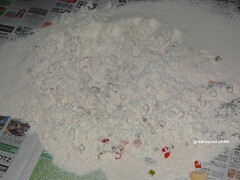 Add 1/2 of Flour mixture fold in gently. 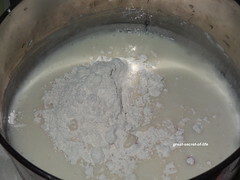 Add balance flour and fold in again. 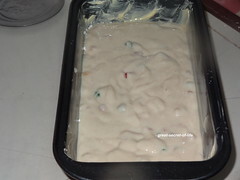 Pour the batter in a baking dish. 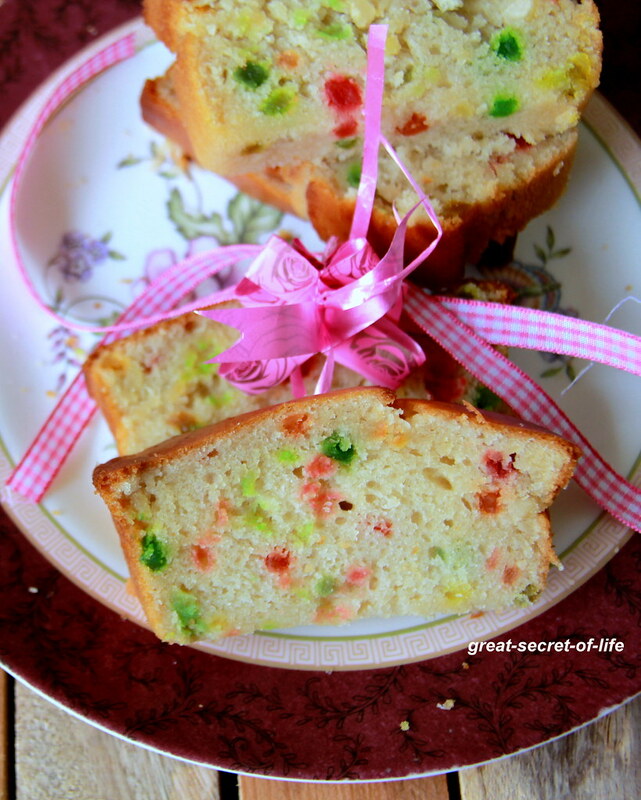 Love those slices of cake. they look so so soft and delicious! 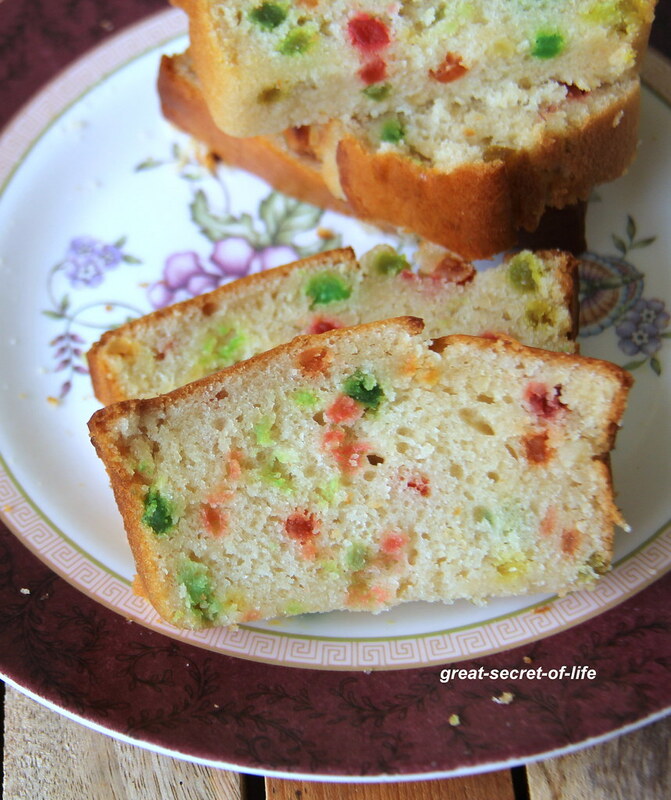 Lovely cake.loved the addition of wheat flour 😀 Thanks for trying dear. 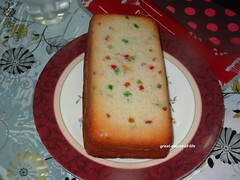 Moist and delicious cake, very colorful too..
Looks so soft and yum. wish i could have a slice. 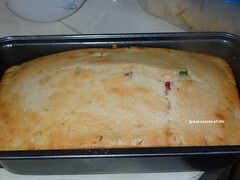 Moist and delicious cake.. Loved it! Love all the colors peeking from the pretty cake.